A couple of weeks ago we revealed LOTRProject’s new interactive map of Middle-earth — complete with key dates, events and character movements for events of the Second Age and Third Age. 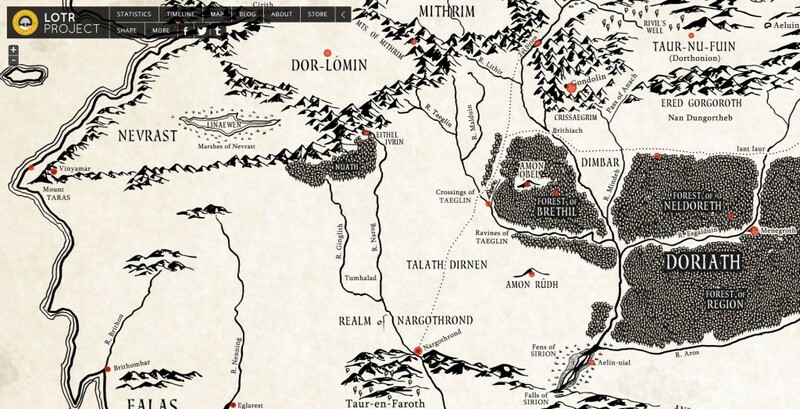 Now Emil Johannson has reached back into the events of the Elder Days of Middle-earth’s history, creating a similar interactive map that depicts the key events of the elves’ war against Morgoth on a map of Beleriand. Use the menu on the right-hand-side to reveal various events, places and key dates. You can also use it to track the journeys of the three great heroes of the Edain: Tuor, Turin and Beren (and Luthien). Click here, or on the image to check it out.